Mary O’Kane is the Principal in the firm. She is a law Graduate of Queens University Belfast Llb (Hons). She has been a Solicitor in Private Practice since 1987 and during that time she has gained a huge breadth and depth of experience in a range of legal issues. 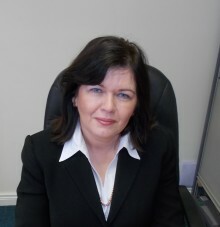 Leanne McGuckin is a Solicitor at O’Kane Boyle. She is a graduate from Queens University Belfast and graduated in 2009. Leanne completed her Solicitor training at the Institute of Professional Legal Studies. She qualified as a Solicitor in September 2013. Sharon Marron is our Office Manager and has a wealth of experience working in the legal profession. She has worked in a Solicitors office for more than 20 years. She assists in the day to day running of the office.